The edge on cutting tools has an awful lot to do with the quality of work that a shop produces. Whether it’s a table saw blade or a mortising chisel, the same rules apply. Sharp edges are faster, cleaner and safer. Maintaining sharp edges on small tools at the workbench or on a job site got a little easier this fall with Rockler’s new Shop Block. This is a simple, plastic, half-hexagon shaped box with two compartments that are lined with densely packed flex-rod plastic bristles. 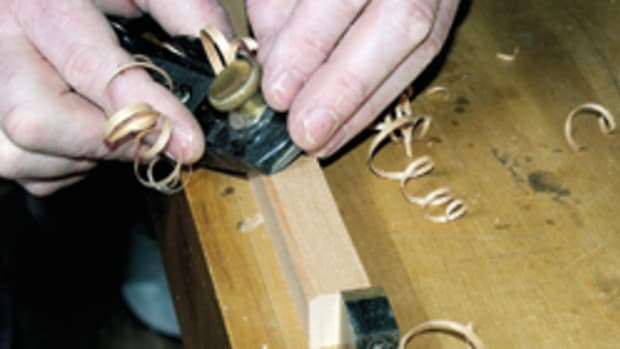 These let a woodworker drop in tools, bits and blades with hardly a sideways glance. On the job site, they hold things such as router bits, drill bits and jigsaw blades neatly in an upright and very accessible position. Three small compartments below accommodate small tooling items such as setscrews and bearings. Beneath each open tray is a recess for adhering a rare earth magnet, which helps to keep hardware from spilling. The tray can also be mounted to the wall with the two keyhole slots. 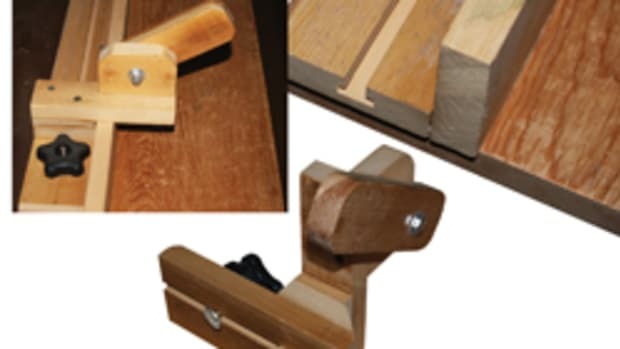 Built-in dovetail tracks let the user join two Shop Blocks together and the company offers this item as an individual part or a set of two (rockler.com). Woodworkers who need to touch up an edge in a hurry will appreciate the new Eze-Fold double-sided ceramic and diamond sharpener being offered by Eagle America (eagleamerica.com). This is a super-fine diamond and ceramic two-sided combination finishing stone that pops in an apron pocket or a tool bag. The handle on each sharpener becomes a carrying case, protecting the surfaces when not in use. Diamonds are the longest lasting and most durable sharpening tools available and, while they won’t quite deliver the edge that a superfine water stone offers (even though they’re a lot faster), the ceramic stone will. These folding models are a quick, easy and fairly inexpensive ($33.94) way to sharpen tools on the job or at the bench. Eagle America is now also carrying a number of M Power diamond stones including an 8” bench model and a couple designed specifically for touching up carbide router bits. For hand tool and lathe enthusiasts, DMT Diamond Machining Technology (dmtsharp.com) has a new sharpening kit that features four diamond products in fine grit (600 mesh, 25 micron). These are large, medium and small honing cones and a credit card-sized sharpener. 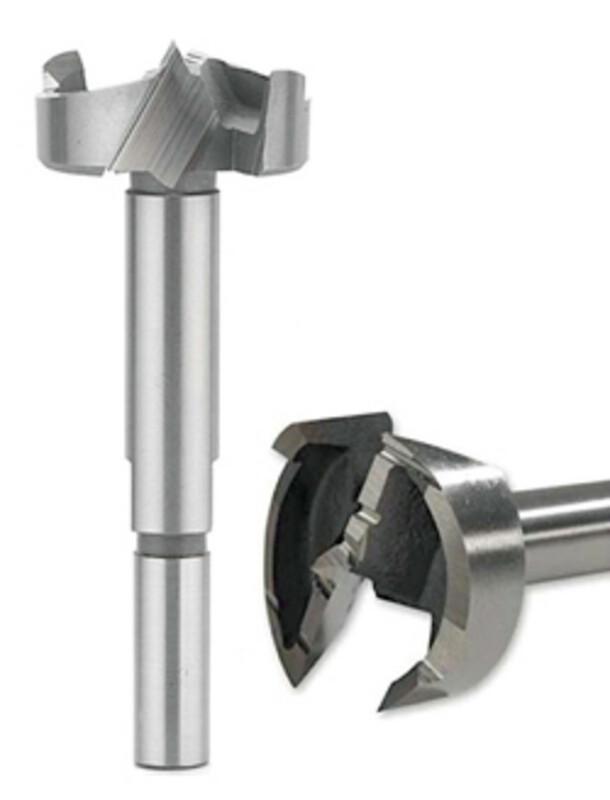 Colt Tools (colt-tools.com) has come up with a new shaft design for Forstner bits that the company calls RotaStop. It’s designed to be a dramatic improvement on both the traditional round shank and the fairly common shank with three flat facets milled along its length. 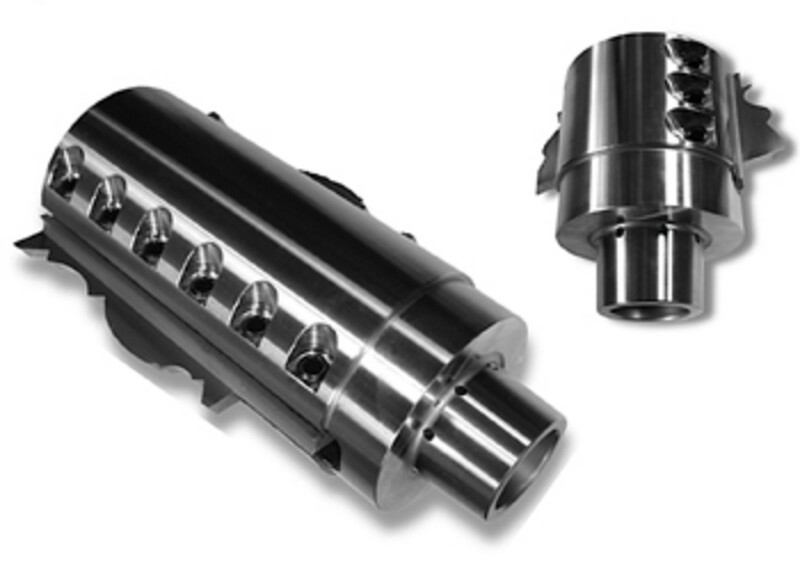 Instead, RotaStop bits have wave-shaped contours along the shaft. RotaStop literally stops the risk of rotation in the chuck and also obviates the need for Allen screws when working with an extension rod. Irwin Tools (irwin.com) now carries Marples Forstner drill bits, while Techniks (techniksusa.com) has just come out with new SlimLine shrink-fit tool holders for tight clearance applications that let a CNC machine in some very tight spots. They are available for CAT40, HSK63A and HSK40E spindles. Amana Tool (amanatool.com) recently came out with a couple of new brad point Ditec dowel drills. Item No. 215005 is a right-hand 5mm diameter cutter, 57.5mm long with a 10 x 30mm shank. And item No. 215008 is the same in all dimensions except it has an 8mm cutting diameter. Both bits feature a special solid-carbide flute for long-lasting performance. Amana’s industrial brad point boring bits are coated with a non-stick polytetrafluoroethylene (PTFE) coating for longer-lasting cutting edge and tool life. In cases where the carbide-tip cutting edges are coated, there is no need to sand the coating off before use. Once the tool starts drilling, the coating is cleared off the needed cutting edge right away. 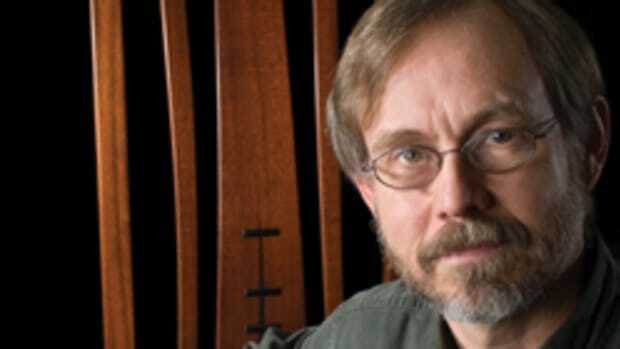 The coating has been applied at a temperature of 570 degrees and it reduces friction between the chip and the body inside the flute. 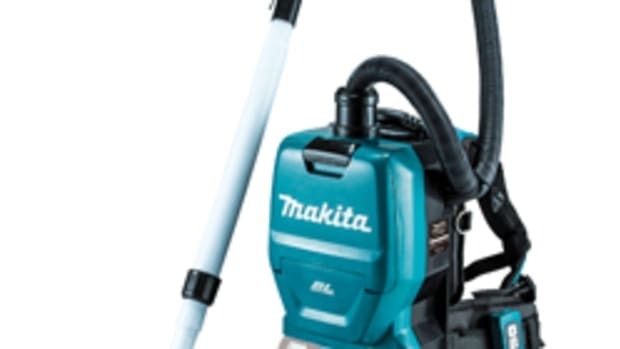 This helps clear chips out of the hole during the drilling, creating a cooler drilling area with no burning and thus a longer-lasting cutting edge. Forrest Mfg. Co. (forrestblades.com) recently introduced a couple of new dado sets, the first of which is a two-piece setup for clean-cutting 3/16” grooves in cabinetmaking. It was designed for cutting grooves for backer boards or drawer bottoms. This set is comprised of two 24-tooth outside saw blades and shims for minor adjustments so a shop can respond to varying plywood thicknesses. The second is a three-piece set for cutting 3/16” to 1/4” grooves and it adds a 1/16”, four-tooth chipper to the first setup. 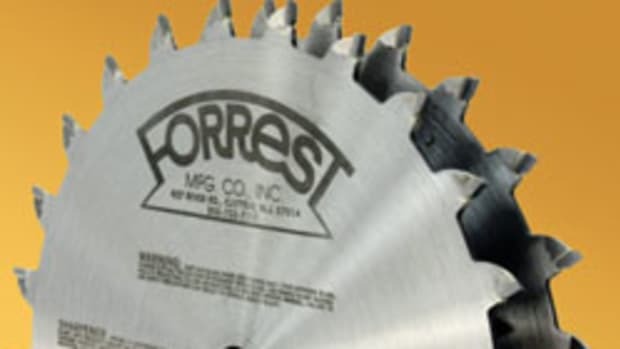 Bore options include 5/8”, 3/4”, 1”, 1-1/8”, 1-1/4”, 20mm, 30mm, 32mm and the 30mm plus two pinholes for Felder saws. Freud (freudtools.com) introduced the “next generation” Premier Fusion general-purpose saw-blade. It features the company’s Fusion Trio tooth design that refers to a special grind for the top, sides and face of each tooth. The one-of-a-kind tooth geometry includes a 30-degree Hi-ATB, a double grind design and an axial shear-face grind. 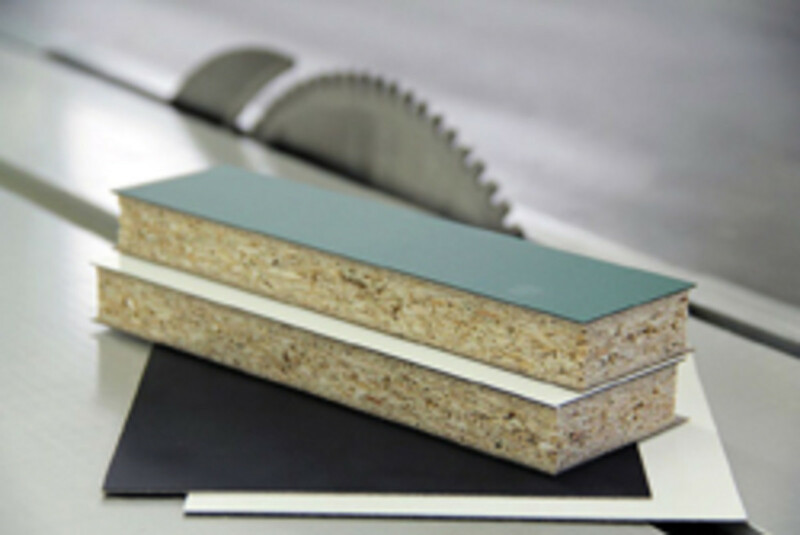 The blade is designed for laminates, melamine, veneered plywood, hardwoods, softwoods and thick stock lumber. Shopping for band-saw blades? Laguna Tools (lagunatools.com) has a very nice interactive tool online that allows a woodworker to find just about any length of blade and sort the search results by both name and price. The company offers superior, but still affordable, Proforce brand blades from Sweden. Every blade is hand-welded and individually inspected for quality control and then backed by a one-year manufacturer’s warranty. Another great source for all things band saw, including blades, is Carter Products Co. (carterproducts.com) in Grand Rapids, Mich.
Are you dealing with magnetic panels? These are laminated panels with a chip or fiberboard core and a thin layer of iron foil just below the surface. Leuco (leucotool.com) introduced a new spark-reducing 350mm circular saw blade that was developed specifically for use with magnetic plates. Many manufacturers offer sharpening services and some suppliers specialize in both sharpening and repair. 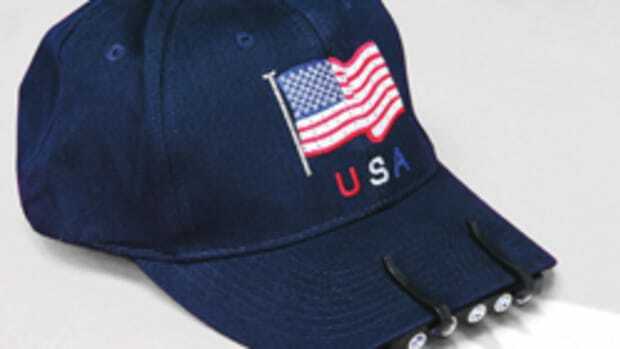 For example, Connecticut Saw & Tool (ctsaw.com) has a mail-in service for the entire country and offers pickup and delivery in certain areas from Massachusetts to New Jersey. There are also about 40 drop-off locations at local hardware stores along the East Coast from Staten Island to Rhode Island. Other sharpeners include Burn’s Power Tools (burnstools.com), Pro Cut Saw & Tool (procutsaw.com) and Total Saw Solutions (totalsawsolutions.com). 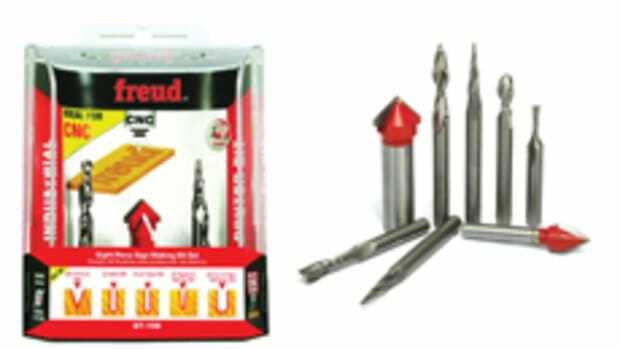 Nap Gladu (napgladu.com) offers a range of services from simple tooth sharpening to extensive tool repair, while GDP/Guhdo (guhdo.com) sharpens carbide and diamond saw blades, insert knives, solid carbide router bits and PCD (polycrystalline diamond) tooling. Carbide Processors (carbideprocessors.com) offers a unique line of blades that combine ceramic and carbide in the tips. The result is exceptional heat control and long life. Well worth a look. Oshlun (oshlun.com) manufactures circular saw blades that feature a fully hardened surface ground and hand-tensioned steel-alloy plate, as well as application-specific carbide grades designed to ensure a long cutting life. 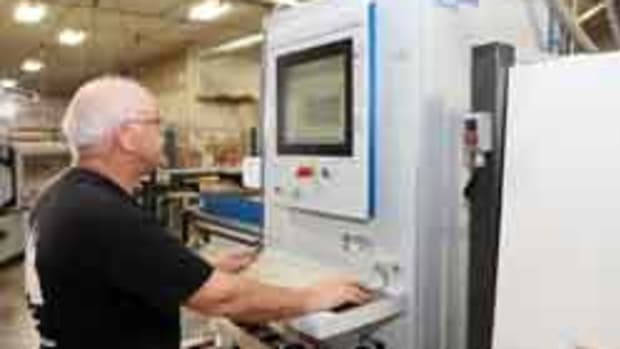 Hendrick (hendrickmanufacturing.com), which is known primarily for its panel saws and CNC routers, also carries a large selection of Kanefusa industrial saw blades, LMT Onsrud CNC tooling and Techniks tool holders. Esta USA (dispozablade.com) makes the Dispozable line. This is a planer and jointer knife system where anyone can change knives accurately, quickly and economically. 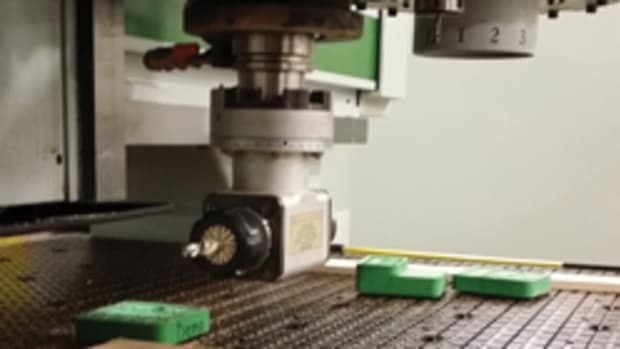 Charles G. G. Schmidt & Co. (cggschmidt.com) recently added a number of profiles to its tooling lines for milling floors. The company offers a number of styles, depending on the type of machine a shop is using — shaper, planer or molder — and also now offers HSK heads for standard corrugated back knives, plus its own proprietary Schure-Lock carbide knife system. Schmidt can also manufacture dedicated insert heads for the side heads of almost any machine in either 12- or 20-degree cutting angles. (Woodshops placing orders will need to specify the desired cutting angle and also whether the head is for the top-, bottom-, left- or right-side spindles.) The entire catalog of cutters is now available online in a new, interactive and easy-to-use format. Several manufacturers also offer custom designed bits and blades. Among these are Hickory Saw and Tool (hickorysawandtool.com); Weinig USA (weinigusa.com); Vortex Tool Co. (vortextool.com); Active Tooling (activetooling.com); ComSurge (comsurge.com); Leitz (leitztooling.com) and Freeborn Tool Co. (freeborntool.com). And MoldingKnives.com makes knives to fit virtually every brand of molder and shaper. Integra Precision Tooling (ipgandm.com) makes solid-carbide CNC spirals and spiral compression router bits and circular saw blades. The company also sharpens spirals, router bits, saw blades and shaper cutters and offers custom tooling.